As we build our Virtual Reality Animation studio, just when we finish a round of details that feed into our marketing and growth efforts, the rules get re-written. In this rapidly changing business, moments of clarity are celebrated. Volunteerism and mentorship are pillars of what gives me strength, which makes the small contributions I make as a volunteer to our local Peterborough #2672 Army Cadets so rewarding. Volunteering and working with young people is a very worthy cause, and I’m confident in our future under their direction as they mature into society. This was “tagging weekend”. If you stepped outside of a Canadian Tire or grocery store and greeted by young men and women in uniform, I hope you donated your loose change. It’s a worthy cause; this spring-break our regiment is heading south to an all-expense paid trip to Virginia. As a proponent of travel, you can imagine I look forward to my own kids experiencing this tour of duty once they’ve earned enough merit points. My job was to drive teams across Ptbo to and from tagging locations. At the end of the day, my last group of young men aged 12 to 17 were engaged in a spirited conversation about virtual reality. I bit my tongue a number of times wanting to jump in and contribute to the conversation, but was impressed time and time again with one jumping in to clarify or correct another’s assertion about something. Overall, these young adults crowdsourced their answers and were correct pretty much 100% of the time based on my own knowledge. Of course, I learned quite a bit listening to these Subject Matter Experts. Nobody cared about the smart watch. Overall, the feeling from these pre-millennials is the technology isn’t there yet. Everyone knows about Oculus. They were all onboard with the new promotion Samsung is pitching where you get a Gear VR viewing rig included with the Galaxy S7. Nobody mentioned the other gear option is a smartwatch. Nobody cared about the smartwatch. They’re very eagerly anticipating what Sony is coming out with this summer. The Sony VR rig, despite being kept under wraps very closely, seems to be garnering the most interest. The feeling in my van was that VR is the future, it’s very, very cool, but everyone is waiting for the Sony VR rig to ship with content. 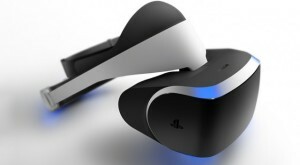 They all feel the current Samsung and HTC offerings are, ‘too expensive’, which makes sense for a group of 12-17-year-olds living at home with part-time jobs at best, but for some reason, they all seemed to believe a move into VR on the Playstation is feasible. These were clearly seasoned negotiators who have gone to the till before to reluctant parents for previous gizmos and games. Cool, but not there yet. My kids are in the same demo, but with two girls plus a boy. When I share my day and the work I’m doing in VR, I’m impressed with the depth and scope of knowledge of VR across both genders. And the feeling is very strong at home too: cool, but not there yet. Not on their radar this week, but definitely something they want to try soon. We’re still waiting for the killer app or unmissable experience. But the pre-millennials are all in. They’re soaking up any and all information they can gather, evidenced by the web traffic on our own site www.ardee.xyz. It’s anyone’s game to win.